Hylands House is a grade II* listed Neo-Classical elegant villa with meticulously restored period rooms from both Georgian and Victorian eras. Originally built as a modest red brick Queen Anne style home in 1730 by local MP Sir John Comyns, the house and parkland was redesigned by famous landscape designer and architect Humphry Repton. Hylands House was rescued from ruin by Chelmsford City Council and restoration was completed in 2007. Steeped in history and set amongst beautiful surroundings Hylands House is a fascinating place to explore. Hylands House opens its doors on one Sunday per month to reveal the secrets of its history. Enjoy a guided tour, view the historical exhibition displayed in the library, as well as the Hylands Farmers’ & Crafts Market and artists studios at The Stables being open for you to browse and purchase unique gifts. All free of charge. Hylands Estate offers a beautiful setting for celebrating any special occasion. 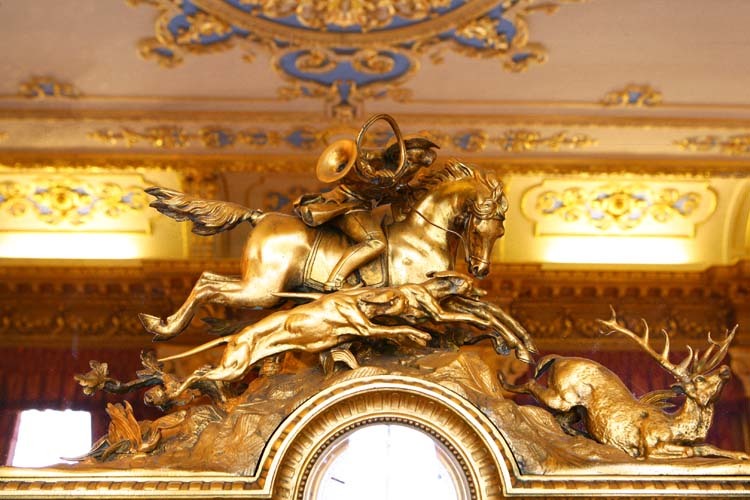 The opulent period interiors within the house are complimented by our crisp, contemporary Grand Pavilion. Hylands House has a choice of Rooms to suit every need. It is hard to imagine a more unique and memorable setting for an unforgettable occasion for your family, friends and loved ones. 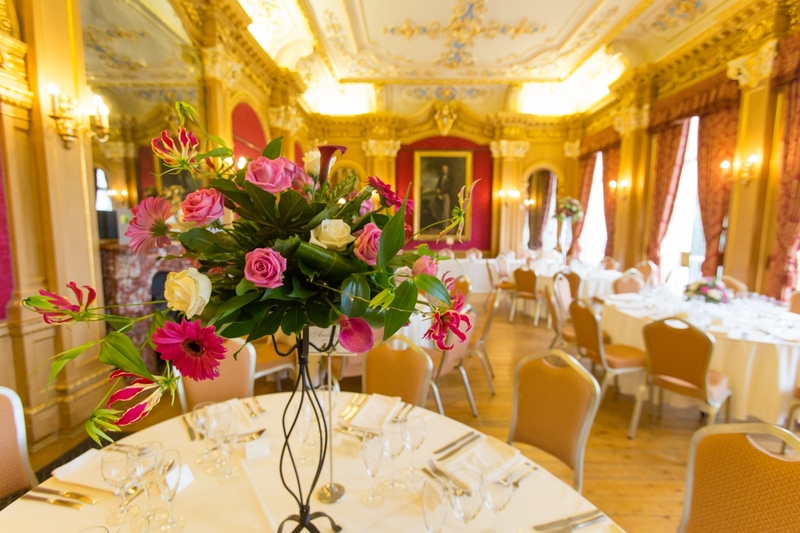 Hylands House can host Special Occasions and Weddings for up to 300 guests. 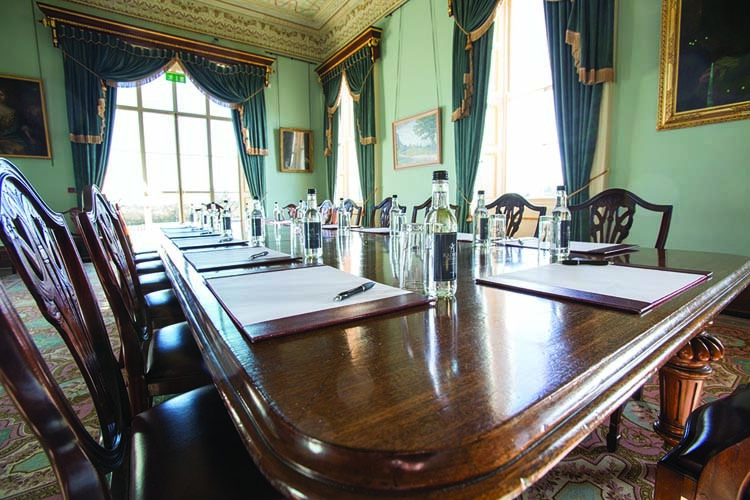 Hylands Estate offers an impressive setting for holding any Business Events such as meetings, conferences and seminars. Surrounded by 574 acres of peaceful parkland our opulent period interiors within the house or our crisp, contemporary Grand Pavilion can provide a perfect setting for your business event. Hylands House has a choice of Rooms to suit many styles and capacities. Hylands Estate can host Business Events for up to 300 guests. Immerse yourself within our virtual tour of Hylands House. To be guided around please ensure you click Play. Sit back and enjoy the grand opulence.